If the CBR 125R sits at the top of the Honda range, the CBF 125 isn’t far behind it thanks to its low entry price and, again, its all-rounder status. 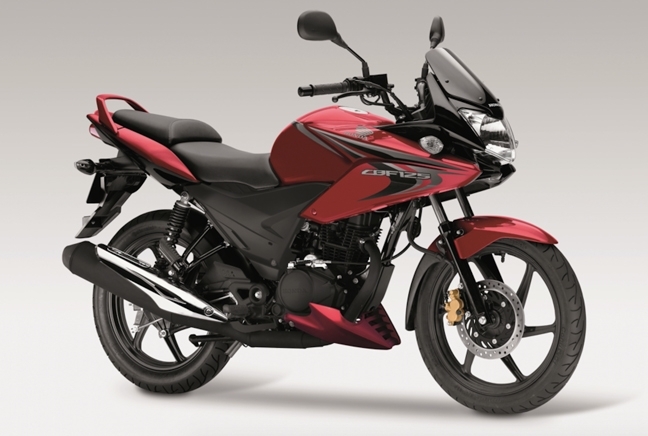 In terms of looks, the CBF is less sporty and more basic than the CBR, but, being a Honda, it’s typically resilient and reliable, shunning any sporty advances in favour of fuel economy. It’s capped at 65mph but with 11hp at its disposal it returns a whopping 134mpg, says Honda. That’s how the CBF is set up – it’s basic and stripped back (without ever feeling under-equipped) because it only has the necessary bits. It’s no frills. And that’s reflected in its price, which starts from just over £2,000. Below you can see an average minimum comprehensive insurance quote for the CBF 125, using The Bike Insurer data.